On the last day of 2017, a service was held at the Jinzhou City Funeral Home for Ms. Wang Yanqiu, who had died two days before. Because she refused to give up her belief in Falun Gong, a mind and body practice that is banned in China, she had been imprisoned and tortured until becoming unresponsive. Her son was grief-stricken. Three years ago while Ms. Wang was still in prison, her son wrote her a letter, which she may not have received. In the letter he said, “In my 20 years of life, the best times were after you began to practice Falun Gong. You were healthy and kind. You were good to my father and I thank you for that. I am extremely proud that you are my mother. I wish I could go back in time when you still took care of me. Ms. Wang had been arrested four times before her latest arrest on July 23, 2013. She wasn't tried until December 12, but was then sentenced to four years in prison in January 2014. 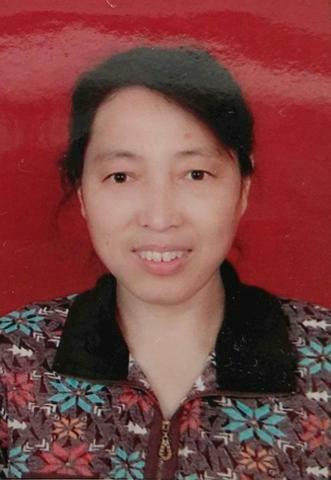 After being tortured for a month in Jinzhou Detention Centre, she was in critical condition. She should have been released immediately for medical treatment, but the authorities were intent on incarcerating her. After five attempts, the authorities finally had her admitted to Liaoning Women’s Prison in Masanjia in May. For nine months her son wasn’t allow to visit her. He saw her for the first time since her imprisonment during the Chinese New Year in February 2015. She fell into a coma in June 2017, a month before her scheduled release. She regained consciousness ten days later. Her family took her home on July 25, and she died five months later on December 29 at the age of 56. 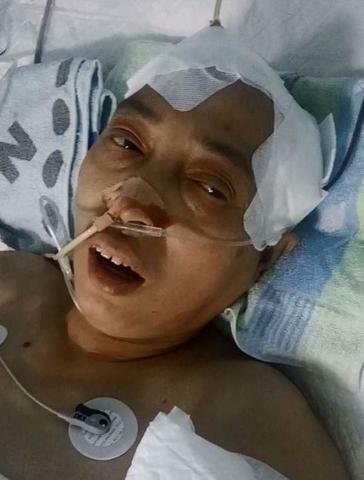 After Ms. Wang’s trial, because of her poor condition, the prison authorities refused to admit her because she had hypertension and blood clots in her brain, was severely anemic, and had a spinal issue. At one point she was critically ill.
Ms. Wang was supposed to be examined at a local hospital, but after the prison authorities refused to admit her four times based on the hospital's report, the director of the detention centre took her to another hospital where he had connections. After her fifth exam in May 2014, the director of the detention center personally drove her to the Liaoning Woman’s Prison. The director had a long talk with the admissions officer before the prison authorities finally admitted Ms. Wang, in spite of her health. Ms. Wang was frequently tortured. The guards and other prisoners who wanted to please the guards in exchange for reduced sentences teamed up to abuse the Falun Gong practitioners, who believed they were innocent and refused to be treated like prisoners. The guards, who would get bonuses if the work was done, beat the practitioners and forced them to do slave labour. By July 2014, Ms. Wang’s blood pressure was dangerously high (above 200mmHg) and she had brain atrophy. She still had to do hard labor even though she was severely underweight. A deputy captain ordered the prisoners to monitor her and prevent her from doing the Falun Gong exercises to stay healthy. As soon as Ms. Wang closed her eyes, the prisoners accused her of doing an exercise and ganged up on her. They held her on the ground, covered her mouth, and abused her. In June an employee kicked Ms. Wang in the face with his boots just to take his anger out on her. He then dragged her into an office and beat her. Another time a captain restrained Ms. Wang and covered her mouth to prevent her from screaming. Another captain smashed a cup of water on her head and slapped her dozens of times. Her face became terribly bruised and swollen. The next day a captain forced her to watch a video slandering Falun Gong with her hands cuffed behind her. They taped her mouth and kicked her. As a result she couldn’t walk properly or squat down to use a toilet for a month. Later that day the captains wrote slanderous words on her underwear and put her in solitary confinement. Soon after Ms. Wang was imprisoned, her son and nephew wanted to visit her but a guard wouldn’t allow it. The guard said that Ms. Wang wouldn’t cooperate so she wasn’t allowed visitors. In February 2015 Ms. Wang’s family traveled to Shenyang to visit her again. Their conversation was monitored by two guards to prevent them from talking about their faith or her suffering in prison. One of the guards showed her family her medical record that listed a dozen health problems. It was hard for her family to swallow, because she had been healthy and worked different jobs to support her family before she was imprisoned. After only a year in prison, how could she have ended up in such terrible shape? A guard called Ms. Wang’s family on June 22, 2017, a month before her release, to say that she'd had suffered a brain haemorrhage and was in the hospital. When her family got to the hospital, she was conscious and recognized everyone, but couldn’t talk. Even in that condition she was still handcuffed, which really upset the family. She was later moved to the intensive care unit. For the first two days she was conscious, and her family was allowed to see her half an hour a day. By the third day, she was moved out of the ICU and was unconscious. The doctor claimed that it was perfectly normal and put her in a general ward. Ms. Wang never woke up after that. Her family went back to Jinzhou ten days later. Before Ms. Wang’s family took her home, the prison authorities promised them 10,000 yuan in compensation. When the family asked for a copy of her medical records, the authorities refused to hand them over, claiming they needed them for reimbursement purposes. Even though Ms. Wang had regained her freedom, she remained unconscious and never left her bed. She occasionally frowned or held her hand against her stomach. She died five months later. Ms. Wang’s husband had a bad temper and was an alcoholic. He often beat her and their son when he was drunk. She also developed uterine fibroids and severe anemia. The couple later divorced and her husband got custody of their son. However, he regularly beat the boy, who eventually moved in with her. Ms. Wang had to work extra hard in order to support her son. The financial strain took a further toll on her health. She tried all kinds of medicine but nothing worked. In 1996, after seeing her friends benefit physically and mentally from practicing Falun Gong, she became a practitioner herself. She became optimistic about her life and future after reading Zhuan Falun. She knew the meaning of life and the reasons for her suffering. She stopped hating her ex-husband and quickly regained her health. She was able to work to support her family. Her son saw his mother improve and was a big supporter of her practice. As a practitioner, Ms. Wang was considerate and kind. She was very frugal when it came to herself, but generous with others. She bought her ex-husband a television set after he moved and help him clean the house during the holidays. She took care of him after he had surgeries. She volunteered to help her brother and sister and often visited them. When her friends helped her, she always returned the favour. When she worked in a store, Ms. Wang’s coworkers would steal the merchandise, but not her. She wouldn’t take advantage of her employer. She later worked as a caregiver for the elderly. She was patient and did a great job of cleaning. When her employer wanted to give her a tip, she said she was just doing her job and wouldn’t take it.